Are you thinking about applying for online loans for a new car, for a home repair project, or for something else altogether? If so, it is a good idea to start by figuring out exactly what you will need when you apply. You then know what to expect and you can spend some time getting everything together, speeding up the process when you actually decide to sit down and put in the application. You first just need information that can identify you in a general way. This could include your name and address, for example, or your phone number. You will know all of this off of the top of your head, of course, so no preparation is needed, but it is still good to know that the loan company is going to ask you for personal details. You may also have to provide official identification numbers that are provided by the government. These can be used to show that you really are who you claim to be. It is not hard for someone to find out your name and your house number, so allowing people to apply with just the minimal details would lead to a lot of fraud. If you do not have your official number memorized, you should look for your ID card. A big part of the application process is providing the lender with details about how much money you make. They have to be able to look at your monthly income to see if you can even afford the loan that you want. You have to prove that you make this much, rather than just offering a number off of the top of your head, so you may have to provide pay stubs or tax forms. 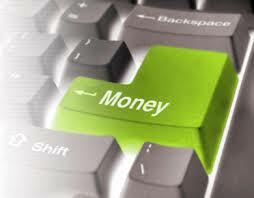 The lenders can also sometimes check this on their own if you authorize it and give them the right information. Finally, if you have outstanding debt, you have to tell them about this as well. This could include the amount that you have to pay on your mortgage every month, for instance. They need to know what other obligations you have so that they can get some sense of your budget. With this information, they can decide if you will be able to pay the new loan and the money that you already owe. « How to Remove Judgements on Your Credit Report?